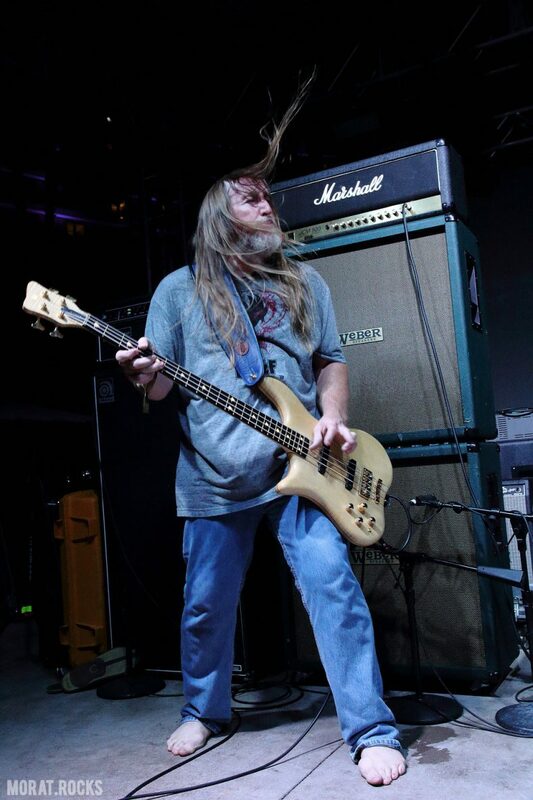 Having played bass for the likes of The Obsessed, Kyuss, and Fireball Ministry, California native Scott Reeder has a style that is completely his own, bringing a unique thunder that is both instantly recognizable and hugely influential. But what of his own influences?Obviously, narrowing it down to just ten favourites is a difficult task: “Nearly impossible,” he says. “The list would be ever-changing.” So here we find him “cheating a little” and including “a few clumps of influence!” Have at it, sir! Before I even knew I wanted to be a bassist, there were some big influences. My grandpa’s pal Sid Fridkin jammed jazz tunes with my grandpa at parties, and I would always sit close to his amp, soaking it all in. Later, a local bassist Steve Williams played in the high school jazz band, and his talent and showmanship was stellar – he’d solo through a talkbox! Their common theme: improvisation, which creeps into everything I do to this day. Paul McCartney. The Beatles were played all the time in my house growing up. His melodic lines carried so many great songs to seemingly unattainable heights. 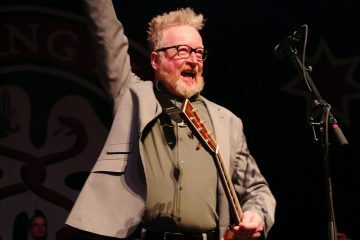 Punk was happening when I started playing drums in bands, and when I switched to bass due to a bandmate quitting, I was learning by playing along to records by Black Flag, Circle Jerks, Descendents, Minor Threat, Bad Religion, T.S.O.L., Discharge, et cetera. Chuck Dukowski of Black Flag stood out – I saw him play in 1981, and it looked like he was exorcising every demon that possessed his soul – there was a physical catharsis in his playing that I’ve always tried to embody in my playing. I’ve always felt like if I’m not completely spent at the end of a gig, I didn’t do my job right. Roger Waters. While I was getting into punk rock, I never stopped listening to my Pink Floyd records. Their earlier stuff had such an experimental, improv vibe – also colouring EVERYTHING I do! Mike Watt. When I got deeper into punk rock, I got to see him play MANY times – seems like Minutemen were always the opening band, but they were actually an impossible band to follow! They made me appreciate pure abandonment in their freedom of expression – their creativity seemed boundless. I was crushed when D died, and felt horrible for Mike, recognizing the completely unique musical relationship these guys had cultivated together. Geddy Lee. My second concert was Rush’s “Moving Pictures” tour… mind-blowing. I thought they’d have a bunch of backup musicians, but they played keyboards with their feet! Crazy. John Paul Jones. He’s seeped into my subconscious more and more over time. With Bonzo, the best rock rhythm section of all time, I reckon. Abraham Laboriel. I recorded him a few times when I was a young engineer in L.A. – he is the most creative, innovative, inspiring bassist I’ve ever had the pleasure of witnessing. He was always so proud of his son that was a drummer on the rise… now the kid plays with Paul McCartney! Chuck Rainey. He’s played with EVERYONE. Those slippery lines in Steely Dan’s hits… that’s Chuck. Warwick Family. I endorse Warwick basses, so I get to hang out with some of my favourite bassists a few times a year – the inspiration that rubs off every time we meet is difficult to put into words. Some of the players that have been on their roster include Bootsy Collins, Verdine White, Jack Bruce, John Entwistle, Adam Clayton, Lee Sklar, Alphonso Johnson, Guy Pratt, Mike Inez, Rob Trujillo, Rex Brown, Stu Hamm… the list goes on and on. They have a bass camp every year that brings other bassists in to just hang out and commune, jam… it’s one of the most incredible, inspiring things to be a part of. I’ve gotta pinch myself sometimes to be sure it’s not just a dream!